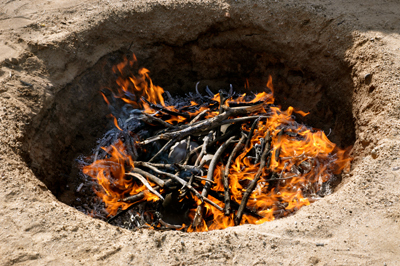 Pit Firing - pots are placed in a hole or pit in the ground, covered with combustible objects and then burned. 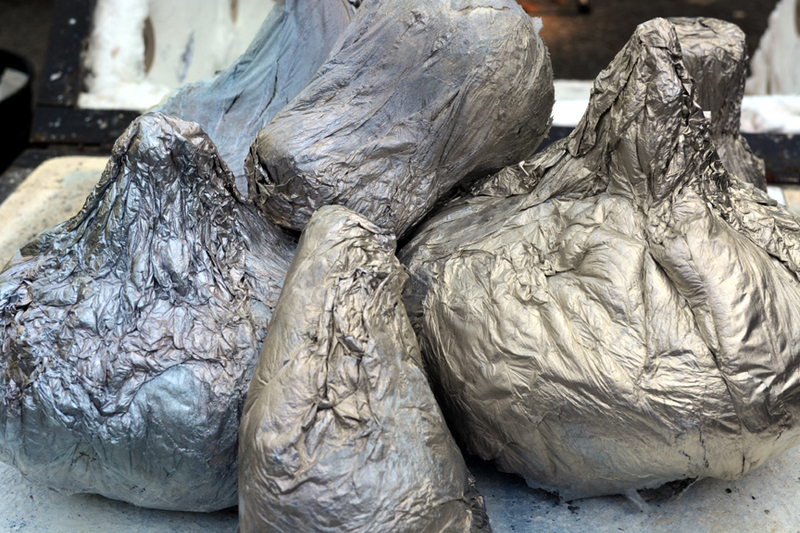 Foil Saggar- aluminum foil saggars are wrapped around the pot to contain fumes so the pot picks up the color from the fumes. These techniques are unique because they use other materials to leave different colors and patterns on the pots. I used the coil method to make a round pot. I attached the coils to the of the base of the pot and then smoothed it all out the best I could. I painted that stuff on the inside and top half of the outside leaving only the bottom portion unpainted in a wavy design. Then I covered the pot in pencil shavings, leaves, coil and salt. After it was finished being covered and wrapped in foil it was pit fired. I think this technique is cool because it uses a lot of random materials to make an unpredictable and unique outcome of colors and shapes on the pot. I would use this technique again but I would rather know what colors and patterns are going to end up on my piece so it isn't my favorite.